Reading provides a special kind of escapism to me, something I have found to be vital to my existence, especially during trying times. The books I select as my favorites each year are those that: I get lost in; the ones that while reading, I lose all track of time; the ones that evoke the strongest emotions; the ones that make me laugh, cry, blush, gasp, and sigh. Yeah, those books! To all the authors whose stories entertained me this year, and especially those who wrote my favorites below, you've earned my highest esteem, gratitude, and adoration. Thank you! My Goodreads Challenge total was 247 (first reads and rereads of single titles). My database total was 220 (book bundles are counted as a single title). 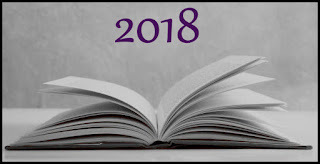 There are several books which were published in 2018 that I was unable to read this year, some of which were published late in the year. I may have to make an exception for some of them and include them in next year's list, just as I made an exception this year for three books which were published in 2017. My favorite genre remains romance, but I also enjoy select mysteries, thrillers, biographies, and popular fiction. In 2018, I finished a total of 96 digital library books and didn't finish an additional 10. I was gifted with a Kindle Unlimited Subscription and finished 43 of those, and during the short time I had the Audible Romance Package I listened to 26 audiobooks. I'll be starting out 2019 with well over 200 books on my to-be-read shelves—primary and secondary—and nearly 100 books on my library wish list. I've chosen Verity by Colleen Hoover as my first read of 2019 and set my Goodreads Challenge goal at 200 books. Here's to 2019 being an exceptional year in books! Since my book database counts a multi-book bundle as a single book, the following is a list of the 4 individual books from within the book bundle I read this year. The remainder of my 2018 book database follows that. I am so impressed with the number of books you read each year! 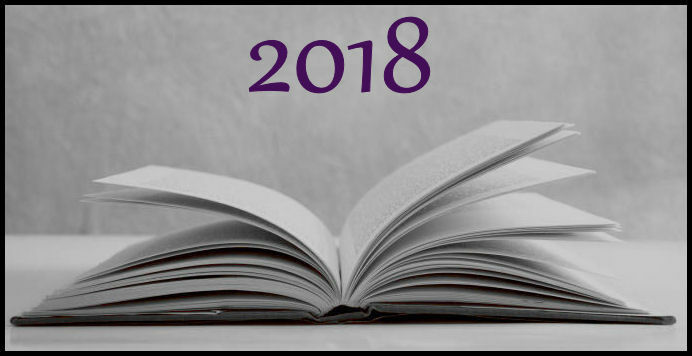 I am happy you were able to discover new categories for your favorite books of 2018 to be classified under. I know I haven't read much in the way of books this past year, but I'd really like to change that in 2019. I know where I'll go looking if I want to catch up on great reads from 2018 and other years! I appreciate the hard work you put into your yearly reading post and I can't wait to hear about what you read next year! Wow! Another great year for you! I hope 2019 is just as good. You and I have read many of the same books but you have read a lot more!